Perhaps one of the most famous French literary and artistic exports of the modern era is Astérix. Written by René Goscinny (1926-77) and illustrated by Albert Uderzo (b. 1927), Astérix was first published in the new comic, Pilote, in October 1959. It was so popular that the first of many stand-alone albums, Astérix Le Gaulois, was published in 1961; by 1977, 55 million albums had been sold. Somewhat bereft after Goscinny’s death in 1977, Uderzo was unsure whether to continue with the little Gaul and his fellow villagers, but he did and only retired from drawing and writing Astérix in 2011. To date, 36 Astérix books have been published and translated into more than 100 languages. 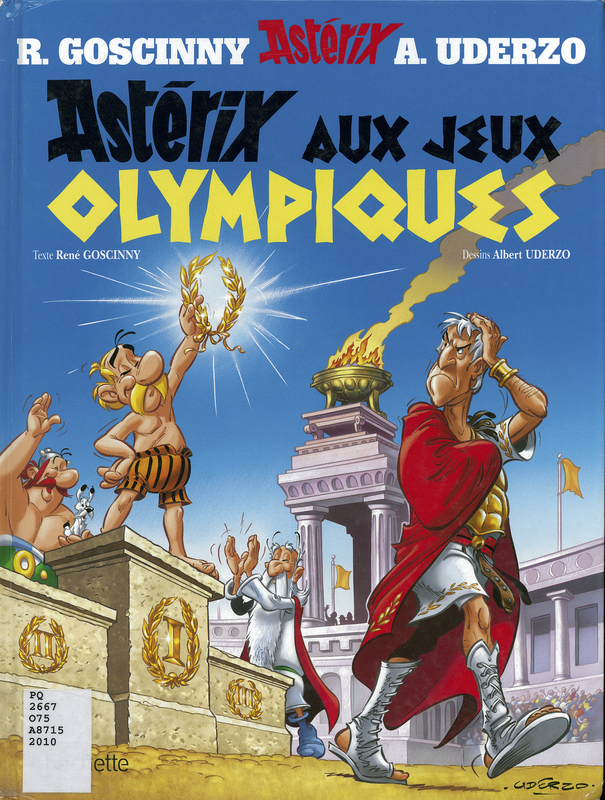 R. Goscinny, “Astérix aux Jeux Olympiques,” ourheritage.ac.nz | OUR Heritage, accessed April 26, 2019, http://ourheritage.ac.nz/items/show/10620.